A maize crop garden under mechanized irrigation in Eastern Province. Maize and rice farmers accused buyers for reducing prices without their consent. Agricultural policy makers have advised farmers to start thinking about collective selling points, which will allow them to sell in bulk and impose market prices. The proposal follows persistent price fluctuations fro agricultural products. In the previous agricultural season, maize and rice farmers accused rice buyers for reducing prices without their consent, causing them losses. Currently, the price for maize reduced from Rwf210 in October to Rwf180 per kilogram, while that of rice reduced from Rwf310 to Rwf295 per kilogram within the same period, according to Jean Paul Turatsinze, President of Imbaraga – a Rwanda farmers’ federation. “Imagine that loss. A farmer cannot recover the money he/she has invested in the agricultural process. There should be government measures in handling agriculture produces and pricing,” Turatsinze said while appearing on KT Radio’s ‘Ubyumvute’ program this Monday. “When planting season comes, buyers do not come to advise us (cooperatives), but only start fixing prices without our consent after harvesting. The government should help us, it’s like they take it freely,” farmers complained during a call-in session. 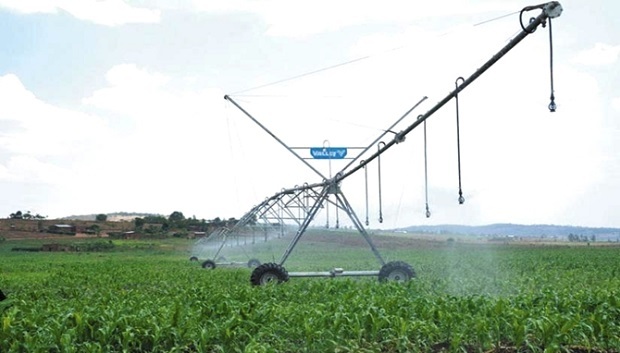 According to Rwanda Agricultural Board (RAB), collection selling points, will help farmers to sell their produces in bulk and at better prices fixed by the government. The proposal, also intends to expand markets and while facilitating buyers to access them. “More so, farmers should maintain required standards for their agriculture produces. We always try to find markets, but when we bring potential buyers they don’t buy produce because of poor quality harvests,” Dr. Bucagu said. To produce good quality, officials asked farmers to use available facilities that help to safeguard quality. “We are currently teaching farmers how to use local drying shelters in storing their produce with buyers to come and buy them at once,” Dr. Bucagu said.